The Affordable Care Act of 2010 has been a topic of conversation since it was placed into law. It seems every during every election there is an increase in talk about its’ future and impact on all Americans. 2016 is no different. UnitedHealth has stated they are in the process of reviewing their California market to determine future participation. Election results might impact some insurers’ willingness to participate in California. The typical American family's income is 8 percent lower than it was before the recession hit in 2007. Experts are predicting more increases in health insurance costs next year. Now that health insurance companies have real data on how Americans are using Obamacare, many insurers are seeking premium hikes, which will affect small business owners and their employees. Life insurance rates should not be impacted by the 2016 election. Rates keep coming down, which is good news. The Supreme Court has upheld subsidies in the Affordable Care Act in a victory for Democratic supporters. All the Republican candidates have vowed to repeal the Affordable Care Act while the Democratic candidates plan to keep it. Donald Trump opposes cuts to Medicare, and Marco Rubio would make no changes to Medicare for those who are in, or near, retirement currently. 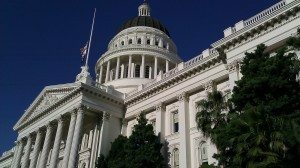 California has a number of new laws that went into affect in 2016. KQED.org offers a good review of all these laws. What would happen to your family if you could no longer provide for them? It’s an important question, and the insurance professionals at Leap/Carpenter/Kemps can help you make sure that you have the right answer. Sources: The Financial Times; Washington Examiner; The Money Fool & Huffington Post.